Bwindi Impenetrable National Park is situated in south-western Uganda, bordering on the Virunga National Park in the Democratic Republic of the Congo. It is a World Heritage Site due to its biological diversity and is home to over 100 mammalian species. The most famous of these are the Bwindi mountain gorillas, a resident population that has over half of the remaining mountain gorillas in the world. Tourism is active in this remote park throughout the year, although it is more difficult to move around during the rainy season as the condition of the dirt roads deteriorates. 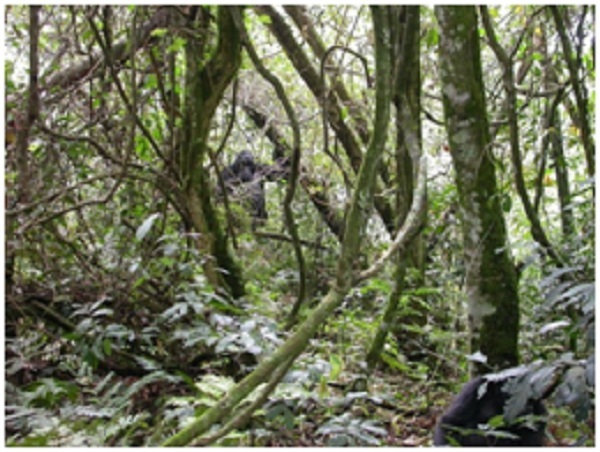 A gorilla trekking holiday is the main attraction for park visitors. Mountain gorillas are threatened with extinction due to hunting and habitat loss as a response to human population pressure; however, some families that are watched by scientists have been habituated to visitors. The gorillas have adapted to these strange clothed primates in their territory and seldom react to their presence. Further information about the mountain gorillas is available on the World Wildlife website. If you would like a chance to see the gorillas, it is essential to have a guide and a permit; these are best pre-booked through the various agents that work in the area such as steppestravel.co.uk. The time spent with the gorillas can vary between companies, from just a short one-hour viewing up to spending a full day in their company. The latter is ideal if you are trying to get those perfect photos. Income earned from allowing tourists to view the gorillas in this way forms a major source of funds for the Uganda Wildlife Authority, a parastatal government body that owns and maintains the park facilities and maintains an anti-poaching unit to protect the gorillas against potential poachers. In addition to gorilla trekking, there are many guided walks though the National Park, where visitors may see the shy forest elephant, one of the 11 types of primates or many of the 350 bird species that make the forest their home. If you have done enough walking, then try flying over the canopy of the forest to view Uganda’s hills and volcanoes on a grand scale. Luxurious lodges or tented camps are situated around the edge of the park where you will be welcomed and catered for with typical Ugandan hospitality.